Here at Navajo Council Naabik’iyati Committee, which was scheduled to begin at 9 a.m. It is now 11:12 a.m. and still no quorum. 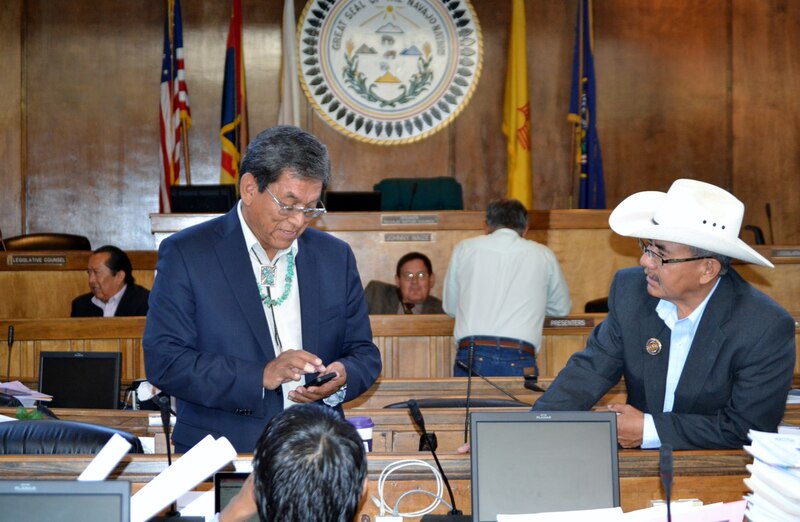 One of the legislative staff said that the lack of a quorum was because many of the Council delegates are busy with other activities, such as the annual Navajo Council horseback ride to the Council’s Summer Session, which starts on July 21. Other delegates are on travel. The Naabik’iyti Committee’s Subcommittee on Sacred Sites is on travel to New York City for the United Nations World Conference on Indigenous Rights. And the Council’s Resources and Development Committee is having a meeting at Navajo Housing Authority. 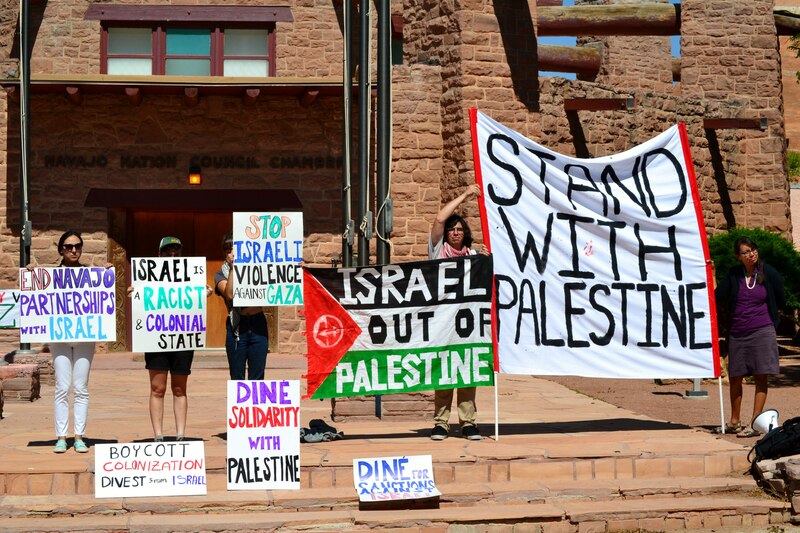 Meanwhile, outside the Council chamber, a growing number of young Navajos are demonstrating against the recent bombing of Palestine by the Israelies, which according to international news reports, has killed more than 200 civilians and children. Yesterday, four Palestinian children, all siblings, were playing on a beach when a Israelie bomb killed all of them. It’s now 11:24 a.m. and still no quorum. The proposed NAABI AGENDA once again includes Delegate Jonathan Nez’s LEGISLATION 0123-14: which would refer a referendum to the Navajo people for a vote on amending Navajo law that remove the Navajo Council as the governing body of the Navajo Nation and replace it with the Navajo people as the governing body of the Navajo Nation. This entry was posted in Professional Journal and tagged Israel, Naabi, Naabikiyati Committee, Navajo Nation Council, Palestine, President Ben Shelly, Resources and Development Committee by Marley Shebala. Bookmark the permalink.